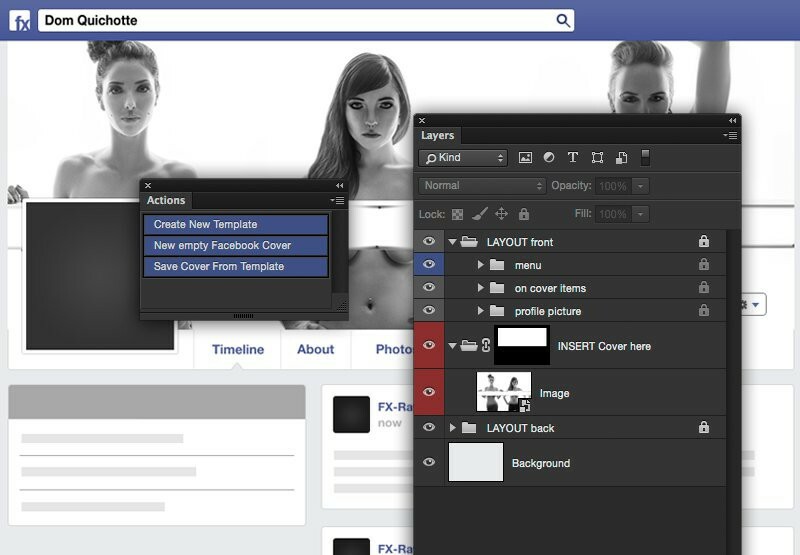 This Photoshop action will simplify the way you create Facebook cover pictures. One click and Photoshop will create a vector based template, similar to a Facebook profile page. Add your picture into the predefined folder, adjust the size, position and define the image section. Thanks to our Photoshop Facebook Cover Template you can work precisely, see which part of your image will be covered by the profile picture and start to create funny interactions between profile and cover picture. No more guessing – what you see is what you get! Another click will save your image section to the size of a Facebook cover picture. Only thing to need to do now, is upload your image to Facebook. leider liegt nur eine Aktion bei.. wird die PSD ergänzt oder wie funktioniert das ganze? Steht alles im Text. Aktion installieren und ablaufen lassen. Viel Erfolg.